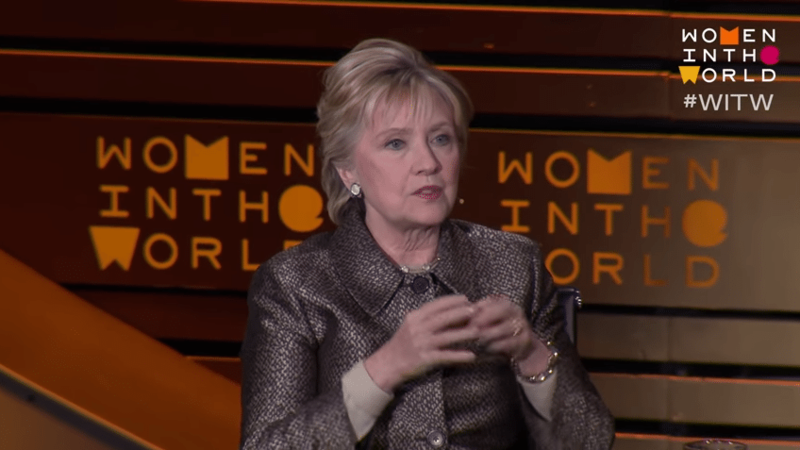 While speaking at the Women in the World Summit in New York on Thursday, Democrat Hillary Clinton blamed her election loss, in part, on the perceived misogyny of the voters. “I don’t know that there is one answer, let’s be clear. I think there — you know, in any campaign, there are so many different crosscurrents and events, and some have greater impact than others. But, it is fair to say…that, certainly, misogyny played a role,” she declared. “I mean, that just has to be admitted. And why, and what the underlying reasons were is what I’m trying to parse out myself.” she declared. Got that? It’s not because she was a horrible candidate that no one could trust, like or believe. It’s because the voters were sexist pigs. But alas, never fear! Hillary told comrades that she heroically refused to give in to the misogynistic bullying, and that enraged her opponents even more. With men, success and ambition are correlated with likability, so the more successful a man is, the more likable he becomes! With a woman, guess what? It’s the exact opposite. So the more successful and therefore ambitious a woman is, the less likable she becomes. That’s the inverse correlation that lies at the heart of a lot of the attacks and the misogyny. The former secretary of state has consistently blamed “sexism” for her struggles to appear genuine and likable. Misogyny is one of many excuses the Clinton camp has given for Hillary’s second failed presidential campaign. Former President Bill Clinton blamed FBI director James Comey for his wife’s electoral loss, before later saying “angry white men” are the reason for Trump’s victory. Hillary’s former campaign aides, meanwhile, blamed “white supremacy” for Clinton’s loss. Noticeably absent among the Clinton camp’s litany of excuses for her loss, however, is any real blame for the unpopular candidate. 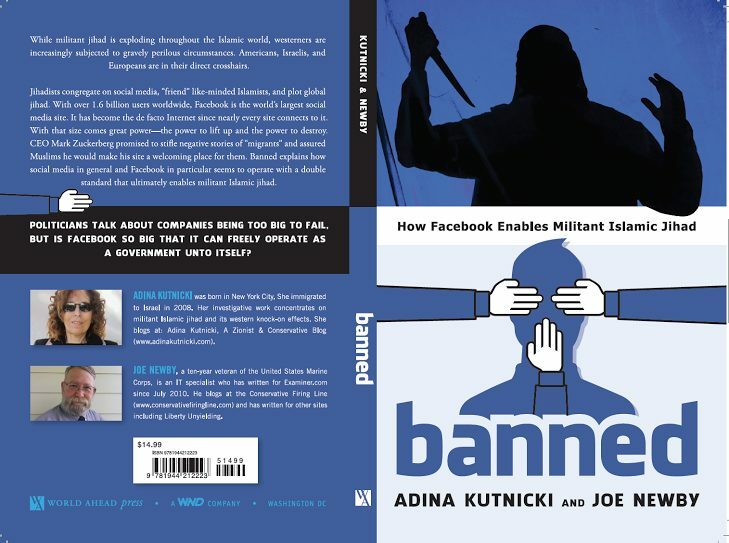 Previous articleBEWARE Of Michiganstan’s Support For Obama-Like Clone For Gov’nor: Stealth Islamist In The Running! Proofs.